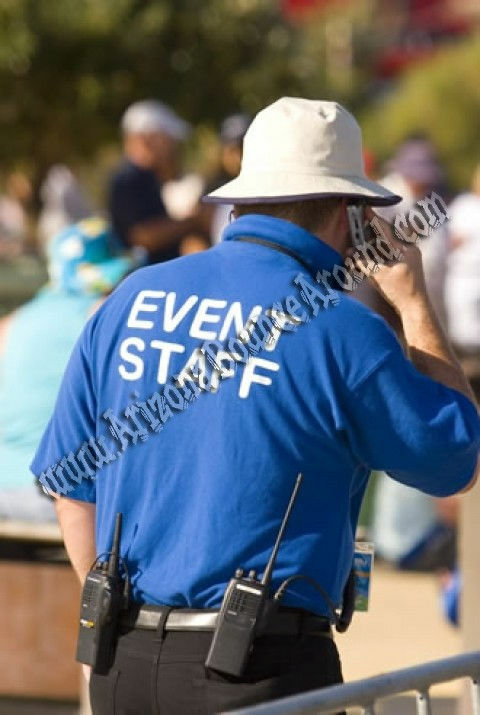 Event management and staffing is an important part of any event that can not be overlooked. All events with large amounts of people have the need for staffing. One of the most important parts of a successful event is to have everything flow smoothly for the guests. Having enough staff to provide direction and insturction allows people to fully enjoy the time they spend at your event. Whether you need staff for a particular line, crowd control, taking tickets or just answering questions in general for your guests. Arizona Bounce Around can provide staff for any size event from a backyard birthday party to a city event. If you are looking to hire event staff or staffing at an event call our office for any questions and suggestions to ensure your event goes as smoothly as possible.